Hillary Clinton Wants to Help Families at the Bottom. So Will She Change Her Mind About Welfare Reform? 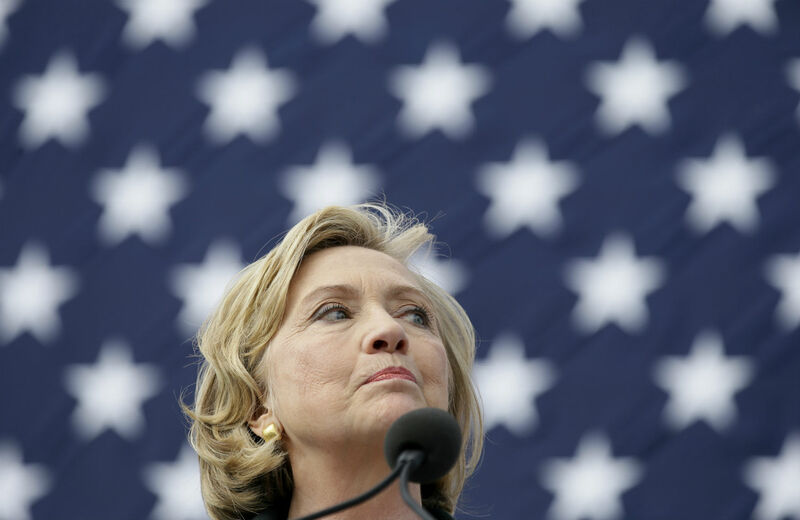 Clinton said as recently as the 2008 campaign that welfare reform was a success, but its track record has proven otherwise for the country’s poorest. In her second campaign for the presidency, Hillary Clinton doesn’t seem to be swinging for the middle anymore. If the first few weeks of her presidential campaign are any sign, she’s staking out ground firmly on the left and setting her sights on expanding the Obama coalition. She downplayed her gender in the 2008 campaign, but this time around, she’s even taking up the mantle of feminism to say she will fight for parents struggling to make it all work. Clinton’s leftward shift includes calling for an “end to the era of mass incarceration” in a recent speech about the criminal justice system. That speech didn’t just represent a departure from a number of the positions she espoused during her 2008 primary campaign, including embracing mandatory minimum sentences. It was an about-face from the beefed-up sentencing and funding for police and prisons allocated by the 1994 crime bill, pushed for and signed by President Bill Clinton—a bill she supported at the time. But if she wants to be the candidate who champions the needs of vulnerable Americans, of those at the bottom of the economy instead of the top, of people of color and mothers and children, then she’s going to have to wrestle with another legacy of her husband’s that, at least at one time, had her support: welfare reform. In 1996, President Clinton signed a bill that he said would “end welfare as we know it.” And it did just that. It took the Aid to Families with Dependent Children program—which, at the time, was a cost-sharing program between the federal government and states to dispense cash benefits to poor mothers—and turned it into what we have today, the Temporary Assistance for Needy Families block grant. Ostensibly, its purpose was the same, but its block-grant structure meant that the federal government would no longer share a proportionate burden of the costs. Instead, TANF today hands a given sum to the states no matter what demand might be and issues them loose guidelines on how to administer the country’s only cash-benefit program. You can find people today who claim that this has been a success—Representative Paul Ryan is a good example. (Hillary Clinton’s husband is another.) It has certainly saved the government money. But it is hard to find a single way in which it hasn’t been a catastrophe for the vulnerable. The federal government hasn’t increased the amount of money it gives to states since 1996, so that money has been eroded by 28 percent, thanks to inflation. Meanwhile, the few guidelines that states have to follow do little to incentivize them to help more poor people. Quite the opposite: They have every reason to try to reduce their rolls and free up more funds, which they often move around to cover things other than cash benefits. Sometimes that extra money goes to related programs like childcare and job training, but states often just use the money to plug budget holes. That means that the share of eligible families who actually get help through TANF keeps steadily falling, to the point where just 26 percent of poor families with children are enrolled, compared to 72 percent before reform went into effect. After welfare reform, poverty did decrease for a time and people moved out of the program and into jobs. The poverty rate for single mothers fell from 55.4 percent in 1991 to 39.3 percent in 2001. But that was during the ’90s boom, when jobs were relatively easy to find. The story has changed in a more unstable economy. The share of families headed by a single mother that live in poverty climbed back up to two-fifths by 2012, and the share of those mothers who are neither working nor getting assistance had risen 10 percent by 2005. And for many, poverty has become much more acute. The share of families in deep poverty, or whose incomes are below half the poverty line, is higher than in 1996, while the share in extreme poverty who live on $2 a person or less each day has risen sharply since then. Poor mothers’ life expectancy also dropped after reform. Welfare reform also imposed lifetime limits on the program and work requirements for eligibility. Research has shown that those limits leave families who get kicked off the rolls with lower incomes and higher poverty rates. And when times get really bad, TANF can’t do much to cushion the blow. The unemployment rate spiked sharply between 2007 and 2011, but in almost a third of states TANF caseloads actually fell. The rolls only ever increased 16 percent, while the number of unemployed people went up by 88 percent. States just didn’t have the money to give out more assistance, and because TANF is a block grant, the federal government didn’t get involved. Meanwhile the caseload for food stamps, a program that isn’t block-granted, rose 45 percent. Hillary Clinton supported her husband’s push for welfare reform, which may not be surprising, given how often she has stood by her man. But she also voiced support for it during her 2008 campaign, expressing no misgivings about how it turned out and telling The New York Times that she thought it was necessary and enormously successful. That doesn’t mean she won’t shift her stance on the issue as she has on criminal justice reform and a pathway to citizenship for undocumented immigrants. The campaign didn’t respond to a request for comment on whether she still supports it. But she needs to do some hard thinking about where she stands. In her first speech after she announced her campaign, she talked about her mother’s experience growing up in poverty as a child. “No one deserves to grow up like that,” she told the audience, saying this belief is part of her “core values.” It’s reflected in some of the stories in her launch video: a single mother moving to give her daughter a better education, a black couple preparing for their first baby, a young boy getting ready for a school play. Women, and particularly women of color, are more likely than men to live in poverty, and single mothers are particularly in need of support. These are the very people Clinton wants to vote for her. What will her response be to Republicans who cite the supposed success of welfare reform in their efforts to block-grant all antipoverty programs, which would result in deep cuts to an already meager safety net? Perhaps more importantly, what help can she offer for the poor families who aren’t even able to access the threadbare lifeline that is welfare assistance? It’s certainly not a pressing legislative issue. There are no current proposals to fix TANF; Democrats are mostly playing defense against withering spending cuts to other programs. So there isn’t a roadmap for Clinton to easily adopt. But that also leaves room for her to go big. Instead of a meager welfare program that has so many barriers that few families can access it, she could call for something universal and generous, like a child allowance paid to every parent, which has the potential to cut child poverty in half and reduce overall poverty by a quarter. The Hillary Clinton running for president today as a champion for families struggling to get ahead necessarily has to be one concerned about poverty. It’s well past time for her to acknowledge how we have failed the poor.